The demand for impeccable wireless routers is becoming a norm, thanks to the continuous growth in the products that are connected to the internet at all times. Smartphones, smart televisions, laptops, and desktops; all of these are always connected to the internet. Keeping that in mind, having a wireless router that can easily handle the load is an essential part. 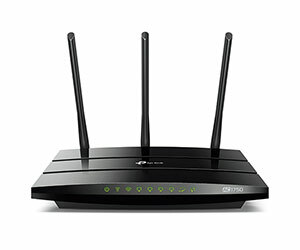 When it comes to choosing a new wireless router, there are a couple of things that you must keep in mind in order to have a smooth buying experience; things like the area you are planning to have the coverage on, the amount of people that will be using the router and how many networks will be connected to it. Wireless routers are available in a variety of types, they can range from top-tier, most expensive ones to the cheaper, more cost effective ones that will suit your needs if you don’t intend to put too much pressure it. Keeping in mind the consumers and their needs, we have narrowed down the list of 15 best router 2019. The list includes wireless routers from almost every price group, this not only gives the buyer a diversity but also a better judgement on what they desire. When it comes to Google, we normally recognize the company as someone who has created the best search engine there is, who has created Android, and who is also known for creating the Pixel lineup of phones, as well as notebooks. The fact that Google is pretty much everywhere is something that we can’t deny. Although it may have surprised us if Google wasn’t so popular, but when the company came up with their Google WiFi System, we weren’t really surprised to be honest. Thrill is the word you’re looking for. You see, WiFi systems normally consist of 3 or more routers that are rather small in size and are spread across the building. This is done in order to create a blanket of wireless connectivity, ensuring that the WiFi is available in almost all the corners of the building. Needless to say, Google wasn’t the first one doing this as this approach has been taken by other companies but it was certainly a good thing to do. Before we even began the entire testing progress, we had figured out that Google’ has done a great job with their WiFi system, so once we were done hooking up everything, the tests went rather well. The good thing is that the WiFi System is a breeze to install with easy to set up procedure, you also good some of the best wireless coverage, and amazing speeds. The units are small, and look absolutely great, plus, thanks to their size, you can just put them anywhere you want without them really coming in the way of how you have arranged certain aspects of your room, or the place you’re putting the units. With that said, it’s safe to say that when it comes to performance not a lot of mesh systems can actually come close to what Google WiFi is offering. However, it’s necessary to keep in mind that it all comes at a cost. For starters, in order to setup the system and get it running, you’re going to need a Google account, and an Android phone. Other that, another downside perhaps is the fact that you don’t get a lot of customization or advanced options. If you’re okay with these tiny setbacks, then you should know that the Google WiFi is perhaps the best WiFi system in the market at the time of writing this review, and that is a huge claim. 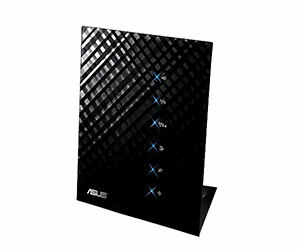 Asus RT-AC88U dual-band router, It’s safe to say that the RT-AC88U is one of the best router offered by the company. 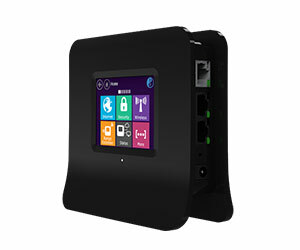 It comes with eight Gigabit LAN ports, users can turn one of the LAN port into a WAN port, the router also supports port aggregation, which means that if you need it, you can convert two LAN ports into one high-speed connection port. Cherry on top would be Asus’ feature-packed and easy to use web interface that ensures that the router justifies the price you will be paying for it. The network monitoring features are top of the line and are fun to use, in addition to that, the router has a built-in VPN server. The router also comes with the ability to protect your network from unwanted intruders as well as malware. The router also supports MU-MIMO and has a plethora of features that are targeted towards gamers to make sure that the online gameplay goes without any hindrance. Performance wise, the router performs without any hiccup, however, if you are willing to connect an external drive to the router and use it as a NAS, you’re going to get a mediocre performance. It’s safe to say that pretty much everyone is aware of the top of the line routers that are provided by Netgear; the company is easily among the favourite of every other networking enthusiast for their epic products. However, today, we have something different on the table. 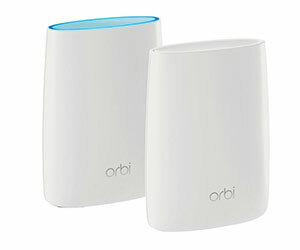 Today, we are not looking at a Nighthawk product, today, we are looking at the company’s Orbi Home WiFi System. A WiFi mesh that is designed to provide top of the line performance as well as wireless coverage across the entire building. 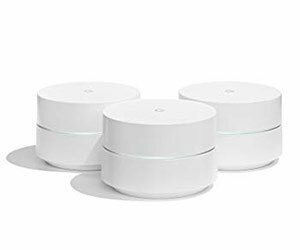 The Orbi comes in 2 options; you can either buy 1 device, or all 3 if you choose to make sure that your network is properly expanded. The whole setting up process is very, very smooth, and simple to understand, the WiFi system doesn’t require anything out of the box like a Netgear account to run. So, all in all, that’s really good to be honest. As far as the performance is concerned, while a single de vice may not be able to give you the good coverage you want, when paired in a mesh, the performance of these routers become impeccable. Needless to say, the coverage is enough to cover your entire house, and even a lot of spots outside the house, allowing you to have a proper experience. With all good things aside, the only downside is that the WiFi system doesn’t come with a mobile app to control everything, and while this may not seem like a necessity, for anyone who’s spending this much money on a WiFi system should at least have a mobile app. All in all, there’s no denying that the Orbi Home WiFi System by NETGEAR is perhaps one of the best WiFi mesh systems that are available in the market. Sure, you’re paying a heavy price, but you’re getting something amazing. The D-LINK AC3200 Ultra has to be the best router that you can get. 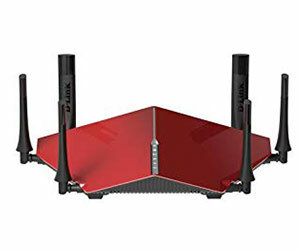 We are going to start by talking about the design; the router offers a great, futuristic look, the overall shroud is red with silver and black accents, it looks nothing less than a miniature version of a stealth jet but in a different color. Looks aside, the router performs wonderfully in all the given tasks, the WiFi range is phenomenal, to say the least. Moving on to the functionality, the router offers a pretty simple interface and doesn’t have a steep learning curve, you get what you see and that is the best thing about its interface. The good thing about AC3200 Ultra is that it doesn’t over-complicate or over-simplify things unlike several other routers; everything from the setup to the management interface is perfectly well balanced. If you can overlook the price tag and the huge footprint of the D-LINK AC3200 Ultra, and a mediocre file-transfer speed, then you get a beautifully crafted piece of technology that has enough firepower and the looks to prove its worth. The last product on our list is the oddly named ZyXEL Armor Z2 AC2600 MU-MIMO, and the reason we are calling it oddly named is that we haven’t heard much about the company ZyXEL before. As a matter of fact, apart from the odd name, the router does look odd as well. But hey, let us not judge a book by its cover. Considering how we always encourage seeing something unique and different from manufacturers, we welcomed the router with open minds, and wanted to see just how good the router is. As the name suggests, the Armor Z2 is an AC2600 is a dual band router that also has the capability and support for MultiIUser – Multiple Input. Multiple Output (MU-MIMO). Needless to say, we were thoroughly impressed by seeing that here. In addition to that, you also get some pretty neat options like a pretty slick design, and a rather solid build quality that goes well with the “Armor” in the name. The router has some fancy lights on the top that look rather well and futuristic, and for those wondering, you should know that it’s not RGB. The reason new mentioned that is because pretty much every single modern component comes with RGB option. As far as the performance is concerned, you’d be surprised that the ZyXEL Armor actually gives a pretty decent performance, something we didn’t really expect from a router like this, but hey, you’re in for a surprise. The single user throughput is as brilliant as it can get. Another great thing is that the router is extremely easy to install and setup. With all the good things aside, there are some downsides that may concern you; for starters, although the MU-MIMO is certainly a good addition, the performance of this feature isn’t as good. If you’re someone who’s okay with it, and can deal with the middling performance, then the ZyXEL Armor Z2 is a great router that will complement your system nicely, and will give you proper networking speeds as long as your internet connection is fast enough for that. Asus has been upping their game for quite some time, their foray into the router business ended up being fruitful. The company has released a handful of amazing routers. Today, we are bringing you the Asus RT-AC5300 by Asus. Perhaps one of the most amazing router, giving you both the looks and the performance for an expensive but justified price tag. The router comes with a slew of features as well as some handsome connectors, you get 2 USB Type A, 1 four pins and 1 nine pin connector, and there are 2 RJ-45 connectors as well. 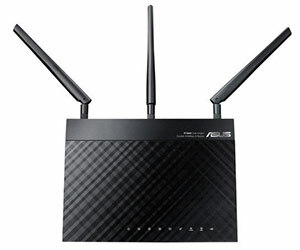 Do keep in mind that if you are looking for a tri-band router, then the Asus RT-AC5300 should definitely be your pick. The WiFi offers a single 2.4 GHz band and two 5.0 GHz bands. Last but not the least, thanks to the Broadcom’s top of the line Wi-Fi chip inside, all the bands offer significantly higher bandwidth; something the network enthusiasts crave. One thing you should keep in mind if you want a router that delivers the great performance, but sacrifices on something such as the high number of included gigabit ports, then you’d be let down as this router has only 4 of them. Otherwise, the router is as good as they get, and delivers excellently on all fronts. 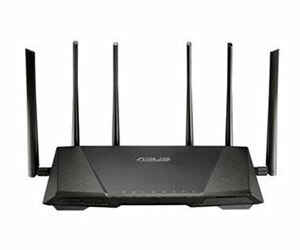 We have another Asus router on our list and this time, it’s the Asus RT-AC3200, this is the most “most reliable wireless router“ the AC3200 is a Tri-band router as opposed to the RT-AC88U. 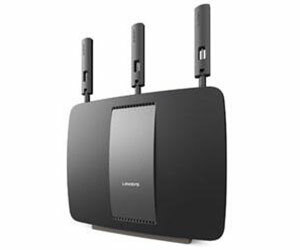 The router is aimed at people who prefer the maximum amount of wireless bandwidth, it’s massive in size and offers six antennas to ensure that you get the maximum wireless performance, the antennas are aligned perfectly with 4 being on the back and 1 on the left and the right side of the router. The Asus RT-AC3200 performs eloquently on all the tests it’s put through, the interface is sleek, easy to use and provides a plethora of features to keep your networking aficionado satisfied. Again, there some subjective drawbacks, the router is certainly not built for people who don’t have a lot of space on their work desk as it offers a huge footprint, the price can be a bit of a bother for some and the file-transfer isn’t the best we have seen. By overlooking the drawbacks, we get an amazing router that works as it is intended to and offers a plenty of functionality. Albeit a bit expensive, it is the perfect device for networking enthusiasts and has enough features to keep the gamers satisfied. Users of the original WRT1900AC know where this is coming from, the Linksys WRT1900ACS can quite simply be called the best router from Linksys. The router retails at $179.97 at Amazon and serves all of your elitist needs. While many consider it to be an overkill, if you want something that is both stable and looks stylish, this one’s for you. The WRT1900ACS comes with powerful hardware that has the ability to deliver fast WiFi across long distances, in addition to that, if you want to connect it with an external hard-drive and turn into a NAS, you won’t be disappointed by the amazing speed it provides. On top of it all, the router offers a cool, retro-esque design and does know how to stand out. The powerful WRT1900ACS is powered by a 1.6 gigahertz dual-core processor and 512 megabytes of DDR3 RAM, the router is capable of dishing out a massive, super-fast speed of 1,300 megabits per second on the 5 GHz band, as for the 2.4 GHz band, the speed is still amazing at 600 megabits per second. Want more? The router also supports Open VPN, as well as DD-WRT and open WRT support. With such a powerful and feature-rich offering, there isn’t much this router can’t do. However, there are some subjective downsides. Let’s talk about them; the router might be a pricey solution for someone who doesn’t want the extra features, if you are willing to use this router with a Mac, then the Time Machine backup feature won’t work. What other says about Linksys WRT1900ACS ? With powerful hardware, the Linksys WRT1900ACS Wi-Fi router delivers fast Wi-Fi performance at a really long range. It has brisk network storage speed when hosting an external storage device. Plus, the router boasts a cool retro stackable design. With Netgear’s Nighthawk AC1900, we’re now moving to a slightly lower range of routers. 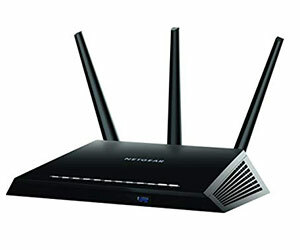 The Nighthawk AC1900 is considered to be one of the best routers for home use. The router manages to offer a lot for the price it retails at. Retailing at 154.95, the Nighthawk AC1900 offers one of the most stellar performances we have seen at the frequency of 5 GHz. Speaking of the constructions, Netgear didn’t leave any stone unturned. 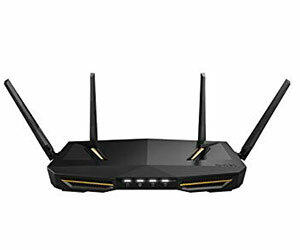 The router offers one of the finest build qualities we have seen, it offers 3 antennas in the back that are plenty for a good amount of WiFi coverage. One of the best thing about Nighthawk AC1900 is its no-nonsense policy, the router comes with plug and play capability out of the box so it’s rather easy to set it up and be on the way. During the testing process, we didn’t encounter any major issues apart from the management interface being a tad-bit tricky but considering how the router got connected instantly, it wasn’t such a big deal. The only issues with the Nighthawk AC1900 is the mediocre performance at 2.4 GHz frequency, even though it’s fast enough, but when compared with the competitors, it falls short. What other says about R7000 Router? Netgear Nighthawk AC1900 Smart Wi-Fi Router offers stellar performance on the 5GHz band, and an excellent set of features. It’s also relatively affordable for a top-notch home networking device. 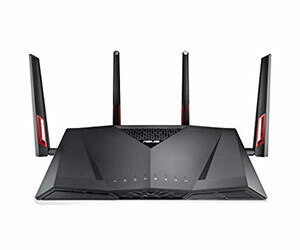 Asus RT-N66U is the lowest price router on our list as of yet, it is the best wireless router under 100$ Quite frankly, the price-tag is stellar for what you are getting; the Dark Knight has plenty of features to offer. Let’s talk about what you get in details, for starters, the router has a stellar WiFi performance and offers great range, truly one of the best you’ll see, on top of that, the wireless signals remain stable, ensuring that there are no hiccups or whatsoever in the internet connectivity. The data rates on 5 GHz frequency are as solid as they can get. Last but not the least, the router has a stellar amount of features to begin with and can also be used as a standalone VPN server. Despite the overall performance, there were some minor hiccups, the firmware for instance isn’t as perfect as it should have been, and there were some minor bugs. Another thing that you should keep in mind that the 2.4 GHz frequency doesn’t provide you with as stellar performance as the 5 GHz. Keeping all these things in mind, the Asus RT-N66U Dark Knight still performs brilliantly for the price you pay. 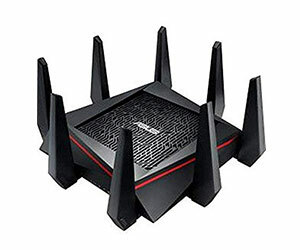 What PC gamer says about this router? Here are we are with Linksys’ AC3200 Tri-Band wireless router. The thing with AC3200 is that it tries to be a lot of things at once, although it’s inspiring, it loses essence over time. The router, by no means, isn’t capable of handling your network. It offers great speed on both 5 GHz and 2.4 GHz, it offers a solid build quality that showcases the amount of work that was put into making the device and has a really good user interface that’s both functional and easy to use. Sadly, the Linksys AC3200 also doesn’t come with LED indicators on the front, this is a potential deal break for a lot of users as there’s no possible way to have a glance and tell if your device is working or not. Lastly, at that price tag, you are getting only three antennas, this eventually means that the range performance isn’t as good for the price you are paying. 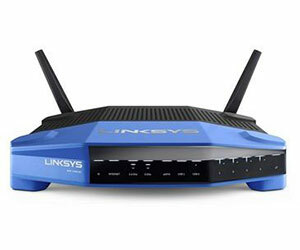 Overall, Linksys AC3200 is a solid router, provided you are willing to overlook the subjective flaws. TP-Link’s Archer C7 Is another cheaper yet effective wireless router on our list, it retails at about $100 on Amazon and has the bare-bone essentials that you would require in a router. Archer C7 is built for the people who are looking for a router that offers stellar performance without any bells and whistles, at that price point. It offers a sturdy performance at both the frequencies and has a surprisingly amazing wireless coverage. The TP-Link Archer C7 does come with a few downsides though, to begin with, the wireless settings aren’t as diver as they should be, and the throughput of this particular router is just okay, there is nothing too ground-breaking about it. In short, the TP-Link Archer C7 is built for the people who aren’t concerned about top of the line speed, futuristic design or lots of advanced features. You just have to plug it in and forget about it as it will never bother you with heaps of issues or connectivity problems. Let’s just call it the younger brother of WRT1900ACS. 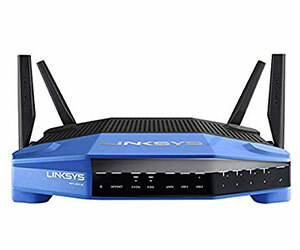 The Linksys WRT 1200AC can be called a toned down variant of 1900ACS for many reasons, the router shares almost the same aesthetics as the 1900ACS. The router comes with really good build quality and offers a great and easy setup, unlike most routers, it won’t confuse you with plenty of options. The performance on 5 GHz band is exceptionally flawless and fast, not only that, it even performs really good when it comes to USB transfers. The testing revealed that even with 2 antennas, the WRT 1200AC managed to give good enough wireless coverage without losing the speed. Moving on to the cons, we realised that the router has a large size, this can be an issue for some but it’s subjective at the most. Sadly, there exists a bigger problem than the size of the router; at 2.4 GHz frequency, the router doesn’t perform as good as it should and has some hiccups. The Linksys WRT 122AC is a perfectly fine choice for budget oriented users, it lacks the bells and whistles that came with its elder brother but considering the price point, it can be ignored. Performance remains stable throughout and the router doesn’t create any issues. If you are looking for something on the cheaper but effective side, the Securifi Almond WiFi Extender is perhaps your best bet. Lucky for you, and your budget, the router falls below the 3 digit price tag and is one of the most demanded routers in the market as of now. The manufacturer wanted to add in some amnesty and brought in a touch screen that seems innovative and works whenever you want it to work. However, the touch screen isn’t the saving grace here. The Securifi Almond has a touch screen that is almost innovating, sadly, the touch screen can’t be used to fully access the router’s settings. This leaves the user to manage the settings through the web configuration, sadly enough, the web configuration is somewhat buggy. However, there is something good that comes out from the touchscreen; the addition of touch screen eliminates the requirement of a computer in order to manage or change the settings. Although the touch screen on the Securifi Almond should be considered a really good deal at just $79.99, the other important features and functionality are the reason this router makes it to the list. It performs well under the price tag and delivers the performance you’d expect from it. The last one on our list is Asus RT-N56U. This happens to be the cheapest solution in the entire list, the router is aimed at people who want the best bang for their buck. The RT-N56U comes in a stylish black enclosure with pattern on top. You’d be surprised to know that this router doesn’t have any external antennas, yet it manages to deliver a stellar performance for the price it comes in. In addition to that, the performance on 5 GHz frequency is exceptionally and surprisingly good. Asus RT-N56U offers a visceral user interface that is both stylish and easy to use, the overall speed tests revealed some really good performance. The design is another plus point, it offers a rather minimalistic design that will fit in almost all the scenarios. Sadly, the same web interface that we praised can be your enemy at times, the changes you make take some time to get applied, in addition to that, the router doesn’t support the latest three-stream 450Mbps wireless speed. But then again, considering the price, these small drawbacks can be overlooked. So that was the list of best wireless routers in 2019, though the list was mainly dominated by Asus, other companies managed to bring their own best routers in the mix too. Routers are considered to be one-time purchase, and they are only required to update in lesser cases as compared to other components. With that being said, a router that doesn’t work properly can create a mess as internet is somewhat of an essential and it is all about stability and proper speeds. Let us know if we missed on any routers you think that should be on the list.